At the start of the month, we went on a family holiday to the beautiful island of Majorca for some much-needed sunshine and relaxing (well as relaxing as can be with three children). We had the most amazing holiday and even though we have only been home a couple of weeks I am already planning next years holiday and have my eye on a luxury resort in Greece. I have a serious case of the holiday blues right now, I am longing to feel the golden sand between my toes again, feel the waves splashing over my feet and feel the warm sun on my skin. If I didn't have my wedding to save up for next year then I would most definitely have already booked another holiday for later on this year. Luckily we live near the Northumberland coast so I think I will just have to try and enjoy a few beach days at home instead this summer, fingers crossed for sunshine. I am certainly ready for the beach as I bought lots of lovely summer clothing for our holiday and I was also gifted some super lovely items from Simply Beach to take with us on our holiday. 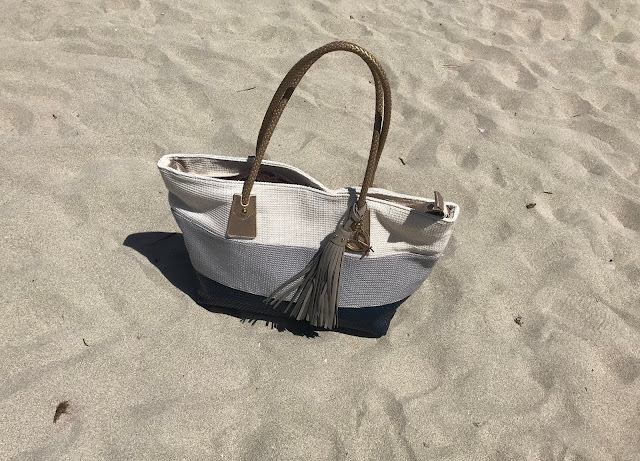 I received this gorgeous Pia Rossini beach bag (£46.00) which received so many compliments when we were away. It was so roomy and perfect for packing with towels, suncream, magazines and spare clothing for a day at the beach and it even fitted all the kid's stuff in too! I loved it and used it every day of our holiday as it had little pockets for my phone and purse and was lightweight enough to carry around with us on trips to the beach, the local shops or just for lazing around the pool. 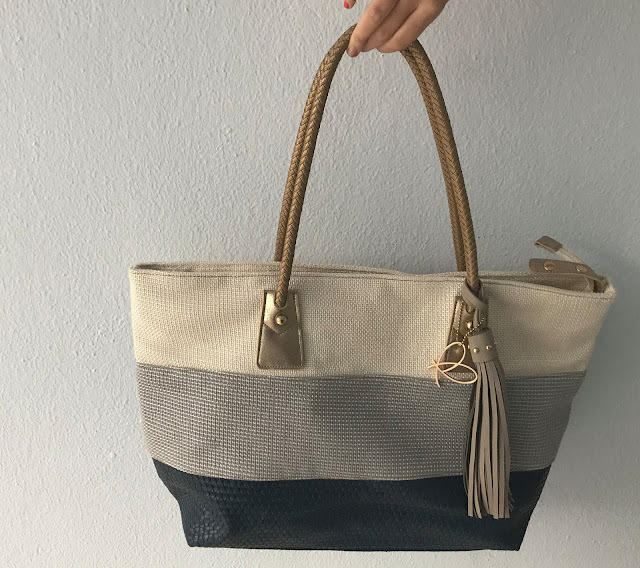 It really was the most perfect beach bag and even after a week of use, it is still in perfect condition ready for our next beach adventure. 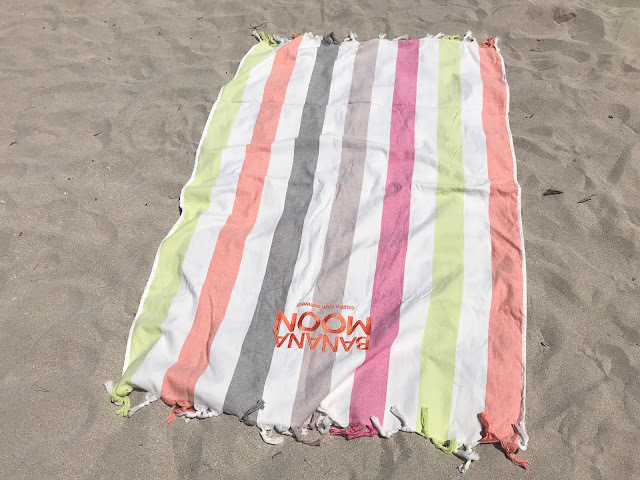 I also received this pastel multicoloured Banana Moon beach towel (£28.00) which looked perfect on the beach. It is super soft and was big enough to wrap myself up in after a dip in the hotels freezing pool. I normally just buy cheap beach towels for holidays and then leave them there but this towel came home with us and washed so nice that it will also be coming on future holidays with us. 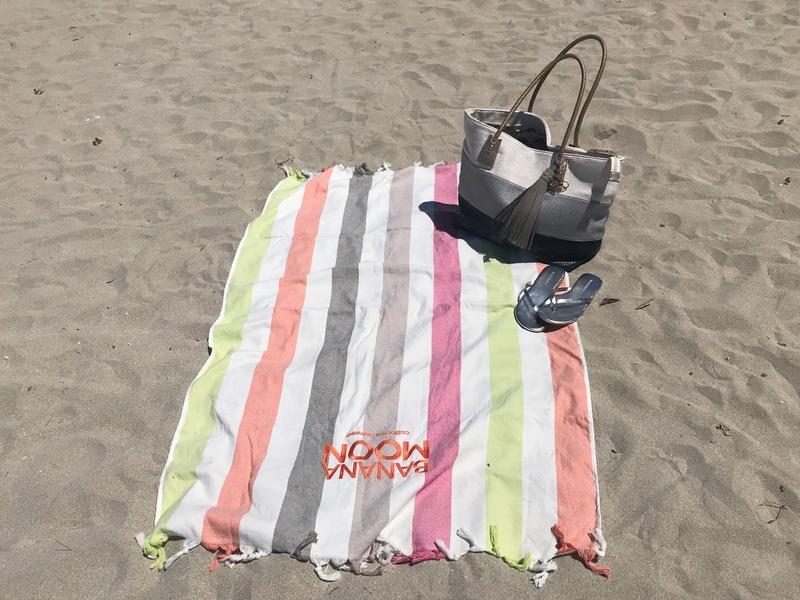 My teen loved this towel and often claimed it for herself when sunbathing on the beach, while I was chasing her younger siblings around the beach. 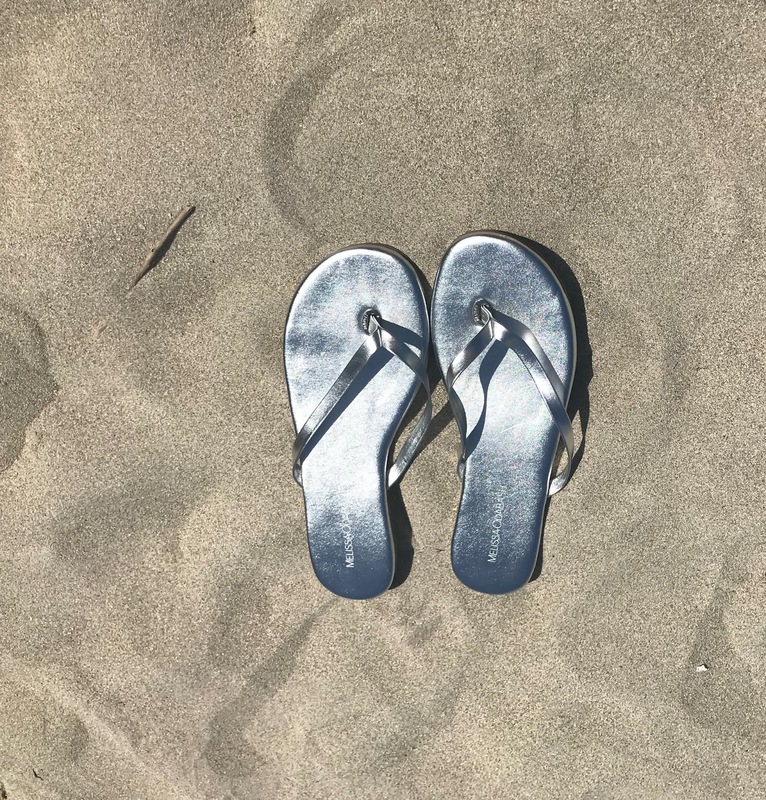 These Melissa Odabash silver flip-flops (£54.00) were the perfect holiday footwear, they could be dressed down and worn on the beach and around the pool and they looked equally good on a nighttime. My fashion conscious teenage daughter even took a liking to them and often wore them as she found them super comfortable. I was really impressed with all the items we received from Simply Beach they have a brilliant Beachwear range featuring all of the essentials you will need for a beach holiday. If you are heading off on holiday this summer then I really do recommend you take a look at Simply Beach as I will certainly be shopping for beachwear from them in the future. Disclosure I was kindly gifted these items in return for this review, however, all opinions are my own.